Standing in Lebanon’s Bekaa Valley was an amazing experience. This beautiful rugged terrain was once part of the ancient land of Canaan and is drenched in history. The air smelt of wild herbs and cedars as the sun beat down on the rocky landscape and stony soils. Wild flowers colonised the scrub and cicadas serenaded me as winemaker Fabrice Guiberteau showed me around his beautifully tended vineyards at Château Kefraya. The rocky outcrops that surround the vines contain a mysterious cave system that was used for tombs in biblical times and the estate still turns up archeological finds from the first and second centuries. It was a great honour to be invited to Lebanon as a judge in the Horeca Show Wine Competition as it was a marvellous opportunity to see a little of this amazing and hospitable country. Lebanon has a bustle to it and a vibrancy that excited me and I felt at home with the sights, sounds and smells. In fact it felt very southern Mediterranean, despite technically being in Asia. In fact apart from the Arabic script on the signs, Lebanon often reminded me of Spain, Greece or Sicily. Beirut and the other towns I saw seemed chaotic and boisterous in much the same way as parts of Spain or Sicily. The landscape too was very similar to these places and of course the food has a lot in common with Greek cuisine and I even noticed some similarities to Sicilian cooking as well. 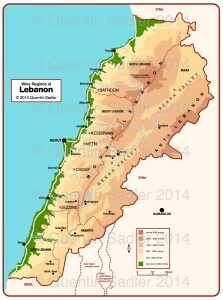 Touring the Bekaa Valley – Lebanon’s main wine region – was a great adventure. The road winds steeply upwards out of Beirut and you quickly realise just how mountainous Lebanon is. The whole country is pretty small and within 20 kilometres you are already approaching 1000 metres above sea level. It is that height which makes fine winemaking possible. There is of course plenty of sun and heat – Beirut lies at 34? north, as do L.A. and Santa Barbara in California and Rabat in Morocco – so grapes can ripen no problem, in fact you can sometimes detect an over-ripe, raisiny character in the more rustic wines. The Bekaa Valley has no coastal influence to give elegance, instead it has altitude – most vines are planted at 1000 metres above sea level and many even higher. This together with big night time temperature drops and plenty of snow-melt water means that the region can produce elegant, fine wines in a place that might at first glance be assumed to just make powerfully ripe wines. After the demise of the Ottoman Empire, Lebanon was administered by France and the French influence in wine is very obvious. Most of the wineries have French names – Château this or Domaine that – and French grapes dominate the vineyards. I don’t just mean the obvious international grapes either. Clearly the people who planted most of the early vineyards looked at what the hot bits of France grew – which in those days included Algeria – and planted those grapes. As a result, Cinsault and Carignan were for long the dominant grape varieties and they are still important, as is Mourvédre. 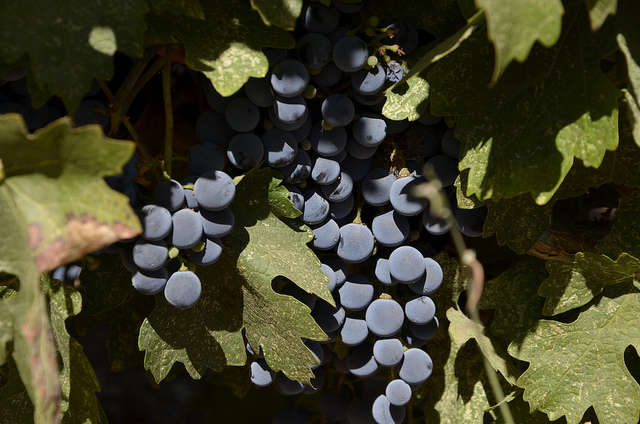 Cabernet Sauvignon, Merlot and Syrah all have their part to play too, as does Grenache / Garnacha in a limited way. Expecting to find lots of very traditional wines made in a French style from southern French grapes, I was delighted instead to discover plenty of innovation and diversity. For a start there were more regions than I had at first imagined, it is no longer just the Bekaa Valley – although that is where production is concentrated. Cooler areas like Batroun, Jezzine and Chouf are also emerging and so Riesling and Sauvignon Blanc are beginning to be grown in Lebanon, together with some excellent results for Chardonnay and Viognier. Being a lover of all things Spanish and Portuguese I was delighted to come across someone even growing Touriga. The Karam Winery in Jezzine have a little bit which they add to the Syrah, Cabernet and Merlot in their very accomplished Saint John red. It struck me that Touriga could make some really exciting wine in this wild landscape, just as it does in the Douro. Owner Habib Karam is very happy with the grape so far and is planning to expand the plantings to see what Touriga can do in greater proportions or even on its own. Being offered wines made from Tempranillo excited me, even if it was mainly in blends with other things. Because of the French influence I had not expected to find grapes that are normally associated with Iberia. Of course Carignan originated in Spain’s Aragon region, it should really be called Cariñena and count as an Iberian grape, but is widely regarded as French. Tempranillo can make a marvellous array of wines with different flavours and characters, from the fine savoury classics of traditional Rioja to the intensely fruity and concentrated styles from Ribera del Duero and Toro, Portugal’s Douro and Alentejo to the more frivolously fruity unoaked Joven wines of Rioja Alavesa. What’s more Lebanon’s use of it illustrates that, however traditional the country appears, there is plenty of innovation and experimentation going on. 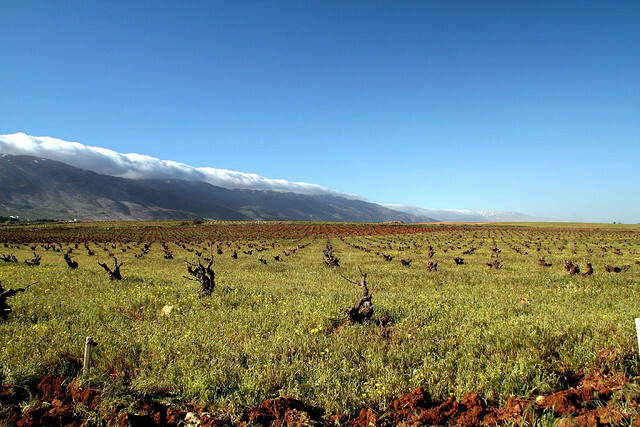 Château Ksara first brought Tempranillo to Lebanon and planted experimental rows in the Bekaa’s Khorbet Kanafar district in 1991. The grape proved successful and so they planted it properly in 1994 and started using it in their light-bodied, fruity Cuvée de Printemps red which is a 60/40% blend of Gamay and Tempranillo fermented using carbonic maceration. Drawing on both the Beaujolais influence and the Rioja Alavesa tradition this is an easy drinking red that has bright fruit and a touch of spice that means it is really good with Lebanese cuisine, especially when lightly chilled. Perhaps it might have stayed at that if Spanish born and Bordeaux trained winemaker Gabriel Rivero hadn’t arrived in Lebanon in the late 1990’s. For six years he was the winemaker and technical director of Château Kefraya and he planted 1600 hectares of his native Tempranillo on their beautiful estate and today it is part of the blend in their spicily attractive Les Bretèches red wine and the crisp, red fruit laden Myst rosé. Kefraya even have a little Verdejo that finds its way in to their superb Blanc de Blancs. Gabriel is still in Lebanon and is now one of the founders of the exciting Ixsir winery. 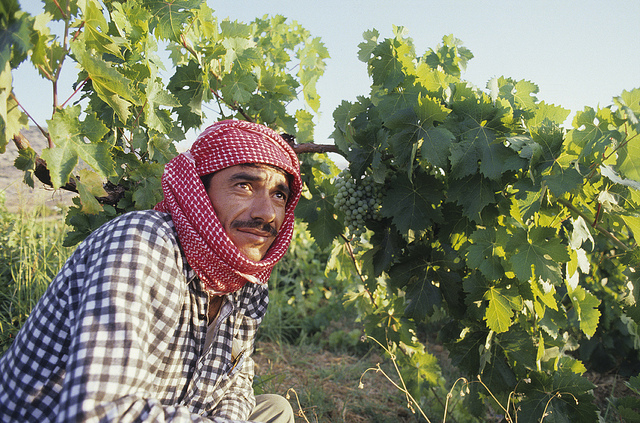 Their HQ is in Batroun, but they grow grapes at six different sites around the country. Gabriel planted his Tempranillo in the Bekaa Valley, near Baalbek where there is the beautifully preserved Roman Temple of Bacchus – the god of wine. Once again they use Tempranillo in a blend, Ixsir Altitudes is superbly made and very drinkable with rich red fruit in an almost jammy style. I only found one pure Tempranillo in Lebanon, but it was a fascinating wine. Made at the beautiful Maronite Christian monastery of Maad a little to the south east of Batroun and marketed under the Adyar label. Adyar is Arabic for monastery and the group is a sort of marketing cooperative for the wines and spirits produced by a few different monasteries across Lebanon. The Monastère de Maad wine might be the biggest Tempranillo that I have ever tasted with a dense palate of rich dried and cooked fruit and a massive hit of alcohol on the finish – it would go beautifully with a very rich meaty casserole. It wasn’t only the fact that I enjoy Tempranillo that excited me, but what it meant too. I like the history and culture of wine. What grows where and why is very interesting to me. Nowadays we can plant any grape we want anywhere and if it works, it works. Historically that was not the case. People grew a small range of grapes – sometimes only one – and these took root in certain places, evolved over time and flourished. Ever wondered why so many southern Italian grapes sound Greek? Greco, Grechetto, Grecanico? Well that part of the world was colonised by the ancient Greeks who brought viticulture with them, as was the island of Kor?ula in Croatia where to this day they grow the similarly named Grk. The history of wine is difficult to chart, but 4000 years or so ago the Phoenicians were an early wine culture and maritime trading nation. They set out from their homeland in modern Lebanon and colonised parts of southern Iberia, taking wine and eventually establishing grape growing and wine making where they settled. So Tempranillo might well be a descendent of vines brought from this very place, long ago. Lebanese wines are well worth seeking out, they go superbly with all sorts of food, from haute cuisine to relaxed Mediterranean fare, and offer a wonderful combination of classic French style and vibrant Mediterranean flavours that can be really exciting. They have a touch of the exotic and a sense of history about them that adds a link to the wines of antiquity.